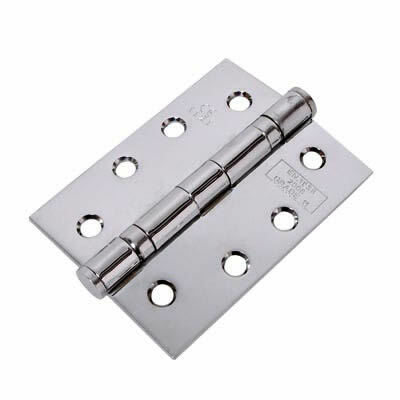 NOTE: Intumescent pads should be used to ensure adherence to fire regulations A budget steel fire door hinge with twin ball bearings for interior fire doors up to 80kg weight. 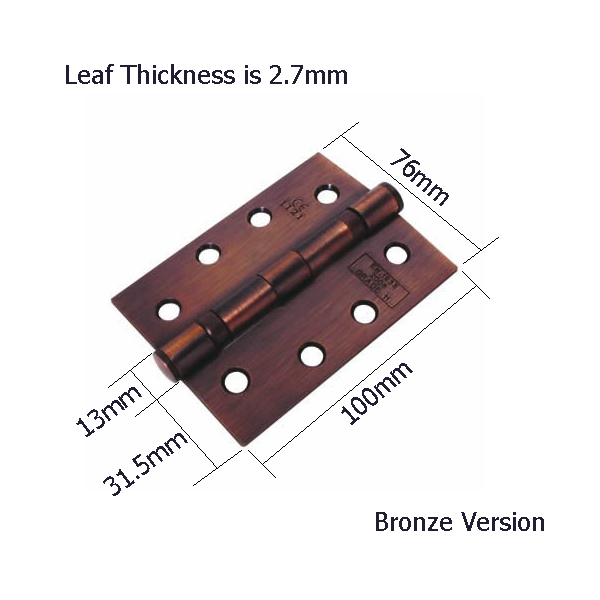 As with all fire door hinges, hang doors on 3 hinges and use intumescent pads to meet the exact requirements for the fire door rating. For heavier doors, exterior doors and doors prone to damp such as kitchens and bathrooms, we recommend using solid stainless steel hinges.